Home › FAQ › What are General Education Courses? General education courses are an essential part of post-secondary degree programs. There are a number of options to consider for completing the general education requirements at various educational institutions and for all types of degree programs. Whether working toward an associate’s degree or a bachelor’s degree, students at the undergraduate collegiate level will begin courses with a series of general education credits, typically compromising a third of total credit requirements. These credits are incorporated into degree programs for a number of reasons, including to prepare students for courses in their major area of study, according to the National Education Association. Many of the courses that begin completion of a degree curriculum set the foundation of skills students will utilize throughout the remainder of an education program and into the workplace. Some of the skills developed in general education courses include critical reading, critical analysis, researching, organization, teamwork, communication, independent thinking, and time management. 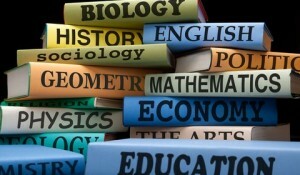 In addition to helping students build skills that will be built on in future courses within a major or minor curriculum, general education courses can also help to bridge the gap between any under-preparation or missing skill sets accumulated through high school and other types of secondary education completion. Completing general education courses is also beneficial, because it offers post-secondary students the opportunity to explore various fields and areas of study. The ability to investigate and explore other areas can help all students to choose a path for their educations and careers. The skills gained in general education course work to prepare for future classes is also a benefit for graduates entering the workforce. For example, although writing is not a part of the major curriculum for a computer science graduate, professionals in this field must be able to write a variety of documents such as proposals and reports. Strong skills built in general education courses can help to illustrate abilities in all areas of prospective career positions. General education courses incorporate many different disciplines of course work. Courses in this part of a degree program are likely to include requirements for humanities, mathematics, English and communications, foreign language, and science. Within each of these categories, students have options for choosing courses to best prepare for continuing completion of a degree and gaining the skills that will be most helpful and utilized in future course work and career preparation. Within the humanities discipline, students might choose to complete general education requirements from classes in history, psychology, art, music, and social sciences. Mathematics requirements often include algebra, calculus, and statistics. English and communications general education requirements might include beginning composition, technical writing, public speaking, and literature courses. Options for foreign languages include Spanish, Japanese, German, and a number of other languages. Science general education requirements might include options for students to choose from anatomy and physiology, chemistry, biology, geology, and astronomy. Undergraduate students have many opportunities to build skills, explore different disciplines, and get ready for the future. With the completion of general education courses, students are well-prepared for continuing to complete a degree and enter into a career.